Welcome to our Staunton Montessori School & Tutorial Centre! A beautiful Montessori Nursery School & Tutorial Centre in rural Nottinghamshire – situated in the historic village of Staunton in the Vale, Vale of Belvoir, Nottingham, UK. 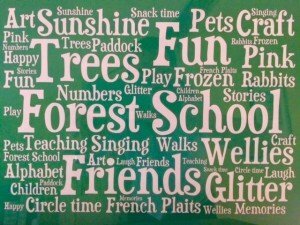 Why not come and view the nursery for yourself to see what amazing experiences we can offer your child? Call the office to book a visit and tour with headteacher Robert Staunton. Don’t let your child miss out on Staunton Montessori! Head teachers, Robert & Adrienne Staunton, turned a crumbling cattle shed in Nottinghamshire countryside, into what one parent described as: ‘the ultimate learning environment.’ Now the school educates many children, with the Nottinghamshire Nursery Montessori School providing for forty 1-5 year olds and the Tutorial providing tuition for many students, from 5- 16 years old. The overall aim is to offer the Montessori Curriculum in a homely & beautiful environment, providing excellence in education for all age groups. The Montessori School feeds local Nottinghamshire primary and prep schools and employs highly qualified early years teachers, including our Deputy Head, Mrs Emma Marshall (QTS). Most of the Tutorial students are preparing for Grammar School or Private School entrance exams, scholarships or GCSEs. Other students include those from overseas who are studying English Language, Culture & Communication. 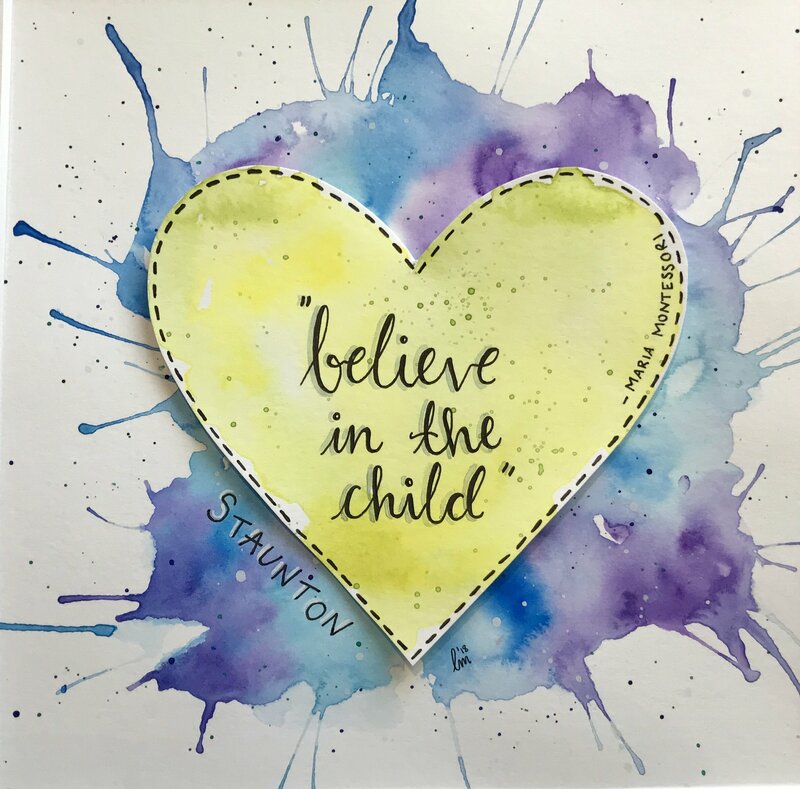 The Nursery School and Tutorial opened in the home of Mr & Mrs Robert Staunton in 2001 on the historic family estate in the village of Staunton in the Vale – a beautiful part of Nottinghamshire, less than 20 miles from the centre of Nottingham city centre. Since then the school has gone from strength to strength, with a fantastic response in the local community, across the Vale of Belvoir and beyond, with parents willing to travel up to 20 miles to access the independent school. The Montessori School started with groups of 6 children and now takes up to 20 children in two or three groups. Mr Staunton, Head Teacher, said: ‘Parents loved what we did and kept coming and also spread the word. We haven’t advertised for years! 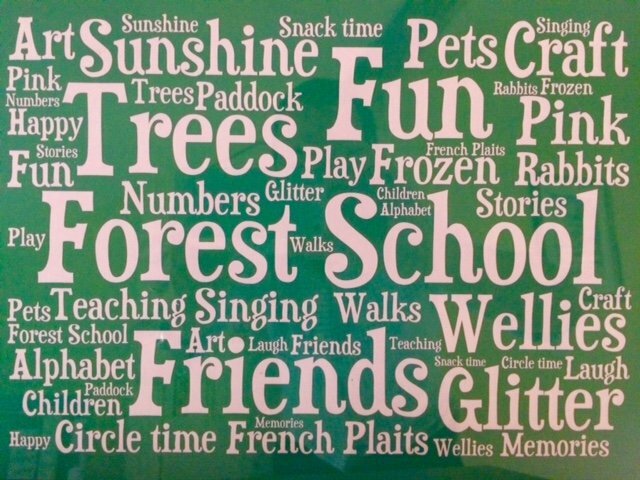 We feel it’s a real privilege to work with children and during the Early Years we can see the impact we’re having.’ With the help of a DEFRA Rural Development grant the School moved into beautifully renovated barns from the farmhouse in 2005. A further barn conversion was completed in 2010 with an Early years Capital funding grant. The Montessori method was pioneered in the inner city of Rome by Professor Maria Montessori, Italy’s first female physician. 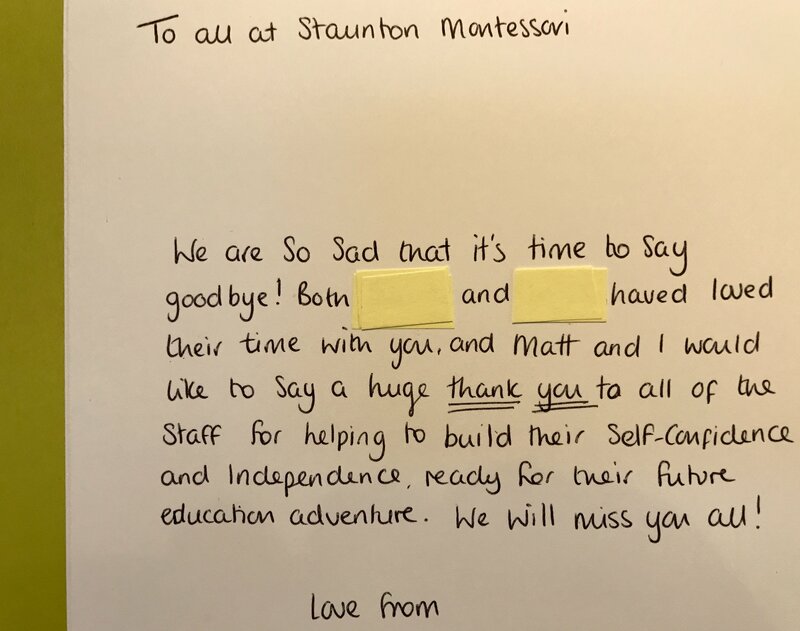 Subsequently it has not always reached across the social spectrum as much as it could, however, engaging with issues of social inclusion, Staunton Montessori School has introduced an ‘Early Years Scholarship Scheme’ to assist access. 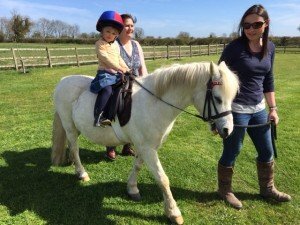 The school is also registered with the Local Authority and parents can claim funding for their 3-4 years olds for fees. Children attend a Summer party at Staunton Montessori.